If we would’ve spoken back in October, I would’ve told you, with confidence, that RJ Barrett of Duke, of Durham, was a better NBA prospect than Jarrett Culver of Texas Tech, of Lubbock. Now we’re in January, 20-something games into the college basketball season and my confidence hasn’t waned, rather it’s been pulverized and rendered null. Between Barrett and Culver are several similarities: Barrett is 6-7 to Culver’s listed 6-5 (though I suspect he could be 6-6). At 6-10, Barrett’s wingspan is an inch longer. Culver is the elder at 20-years-old (as of today, happy birthday, Jarrett, may your stars always shine bright) to Barrett’s 18-and-a-half. RJ is probably the faster, more athletic, and stronger. Culver has the edge in efficiency as he’s able to generate roughly the same numbers as Barrett (with the exception of scoring volume) despite handling a smaller usage rate (33.3% for RJ to 30.5 for Culver). While the difference in scoring volume is a hair over 5-points (5.1), it takes RJ an extra 6.6 shot attempts to get there. Part of that is because he’s less efficient (51% eFG for RJ to Culver’s 58%) and another part is because he gets to the line less (30% FTr for RJ to 43% for Culver). These two prospects, both elite in their own unique ways with overlapping positional and physical profiles, are a study in contrasting style and aesthetic. Barrett, at 6-7, 200-plus pounds, is an embodiment physical strength. His father played ball at St. John’s, his mother ran track there, and his aunt represented Jamaica as a sprinter in the 1992 Olympics. It’s unlikely that Barrett is the product of intentional genetic engineering, but if you wanted to design an ideal basketball player, these are the type of athletic genes you’d look for. Barrett’s combination of speed and strength are devastating for defenses and at just 18, he already knows that he’s stronger than most players and when propelled with momentum, short of taking a charge, there’s little a defense can do to slow him down. Barrett is a straight-line player with little in the way of wiggle or shimmy. Against Kentucky and their blue chip freshman, 6-6, 211-pound Keldon Johnson, Barrett was able to easily shrug off the heavier (on paper at least) defender for shot attempts at the rim. This has been a recurrent theme throughout the season where Barrett’s frequent rim attacks resemble peak Darren McFadden breakaways: arm tackles are not enough. By contrast, Culver reminds me of the John Wooden quote, “be quick, but don’t hurry.” His movements are unrushed, but intentional and with pace. There’s nothing frantic to his activity. Against TCU, Culver had a pair of post-ups where he used the same move: catch on the right block, pivot into a turn-and-face, pivot again, and spin back baseline, dipping the left shoulder to get an advantage on the defender. In one case, he scored after clutching to avoid a help defender, and in the next, he drew a goal tend. These post-ups are fascinating in the sense that they’re simple, but wrapped in a flurry of activity with Culver pivoting 360-degrees before quickly and deliberately spinning baseline. It’s a choreographed move that encapsulates Culver’s game: subtly multifaceted with quickness, and skill. Opportunity Cost: is Barrett shooting a contested pull-up jumper more valuable than almost any Zion Williamson shot? Is Barrett attacking against multiple help defenders more valuable than a Tre Jones creation? Or than an open Cam Reddish three? We saw his iso-heavy tendencies cost Duke heavily against Gonzaga. Probably most importantly, is Barrett either able or willing to consider data-based evidence of value and efficiency or is he resigned to a belief in self which has likely helped him to achieve all that he has in 18 years? Awareness & IQ: When I watched Barrett as a high school senior for National Champion Montverde Academy, my favorite skill of his was passing. He exhibited vision and awareness and utilized that overwhelming physical advantage to create opportunities for teammates. No look passes, pocket passes in pick-and-roll, bailing himself out of tight spots with frozen rope screamers to open shooters. It wasn’t just occasional, it was every game. At Duke? Despite averaging nearly 4 assists-per-game with an assist rate of 21.1%, Barrett has frequently proven to be an unwilling passer. It’s not that he’s not seeing the floor well, but that he’s not even bothering to look. In the second half in Tallahassee against Florida State, Barrett was at his best and most willing as a passer when Williamson was out with an eye injury. Oddly, he didn’t register any assists (though he certainly should have been credited with at least two and had teammates miss shots on potential assists), but with the increased space and being relieved of the pressure of competing with Zion (will reference this below), Barrett appeared to play freer and less forced. Culver is frequently the primary ball handler and initiator for Texas Tech’s offense. The game seems to unfold slowly in front of him, leaving time to read and react. While he and Barrett average roughly the same number of assists, Culver’s assist rate is 28.4% to RJ’s 21.1%. Both players are expert at drawing in help defenders though they do it in different manners. 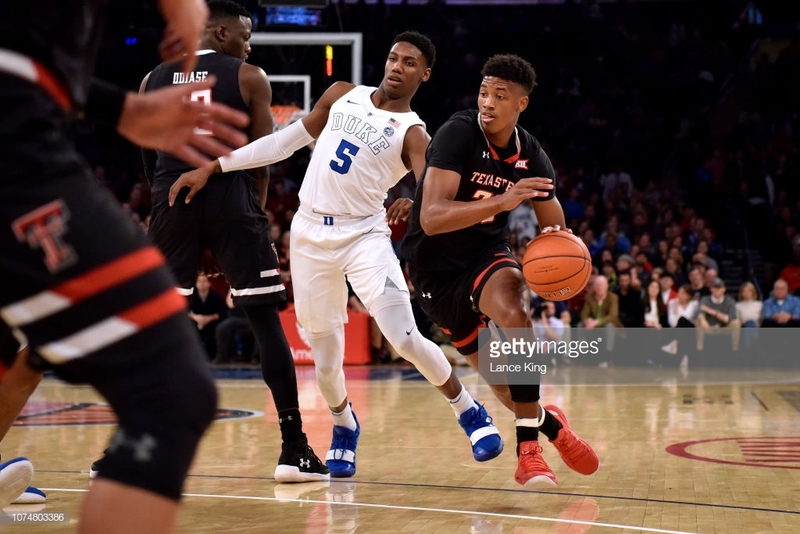 RJ is force personified, using explosiveness to beat opponents while Culver slaloms towards the goal, shifting direction with crossovers, and creating moments of pause with hesitations. As defenses react to help against these attacks, Barrett will try to muscle through it all while Culver, with head and eyes up, is aware of release valves and windows and doors opening and closing. His ability to process under duress allows him to see the dump off or kick out and execute both with equal accuracy and appropriate velocity. What makes this frustrating, from a Barrett critique, is that I believe he’s capable of finding and hitting the open man. That he doesn’t is a waste or poor judgment. Neither player is a very good shooter at present. Culver’s shooting 35% on over 4 3-point-attempts per-game while Barrett’s at 32% on close to 8 attempts. Against Power Conference opponents, both players see field goal and 3-point percentages drop: Barrett from 45% (FG) and 32% (3) to 42% (FG) and 30% (3) while Culver’s falloff is greater: 52% (FG) and 35% (3) to 46% (FG) and 31% (3). Keeping with the theme of contrast, each player is developing with different quirks. Culver’s base is narrow with his feet close together and he sometimes leans back on his jump shot. He has a high release and high arcing shot that often looks like it’s short, but just sneaks over the nose of the rim. Despite having some truly awful nights shooting the ball (4-17 vs Syracuse, 0-7 vs Texas Tech), Barrett’s form has improved from high school when it seemed he would aim the ball. It’s more fluid now, but fluid in this case is a relative term. Much of my concern with Barrett’s shot is judgment based and can be lumped into my analysis of his general basketball philosophy (get the ball in the hoop). Barrett will fling up threes in questionable time and circumstance. Evolving this part of his game, ideally through coaching, is key to his attaining his ceiling. Defensively, Culver is on one of the nation’s top defensive teams. As of this writing, the Red Raiders rank 1st in opponent field goal percentage, 3rd in 3-point percentage, and 3rd in opponent points-per-game. Coach Chris Beard has the appearance of a man obsessed with defense and the team often appears to operate with a Borg-like shared consciousness. Whether Culver arrived on campus with a passion for defense or mainlined these concepts into his bloodstream doesn’t matter as much as his clear internalization of commitment to the defensive end. He sits low with open hips and moves his feet well. He sees and checks cutters, anticipates help, is willing. For as much as his offensive game has grown, his defense has fine-tuned. Most of my notes on RJ are critical: not low enough in stance, kind of stiff, missed rotation and pouted about it, beat backdoor. It’s hard to knock an 18-year-old for defensive shortcomings and Duke doesn’t have a reputation for cultivating defensive minds. Barrett has the tools to be an awesome defender, but as I type this, I the waves of de ja vu bubble to the surface reminding me of the last highly touted Canadian draft prospect: Andrew Wiggins, another wing with all the tools, but now in his 5th season, those tools remain largely unused. In terms of intrigue, Barrett gets the nod by a wide margin. On July 8th of 2017, donning the jersey for the Canadian Junior National team in the FIBA U19 World Basketball Cup, he put up 38-points on 12-24 shooting with 12-15 from the line, 13 rebounds and 5 assists in upsetting an American team that included current teammate Cam Reddish and current NBA rookies Kevin Huerter, Hamidou Diallo, and Josh Okogie. Canada won the hold and Barrett headed into his senior season at Montverde as the undisputed top-ranked candidate in his class and held that imaginary crown for the remainder of his high school days. It was against this reputation that Barrett landed at Duke in the middle of a circus that quickly shifted its spotlight from the group of freshmen to the beefy, bulky highlight machine Zion Williamson. And for me, this spotlight sharing is at the crux of the shoot-first, second, and third RJ. From watching him in high school and hearing that his dad was a college player, that his godfather was Steve Nash, there was a sense of inevitability with him; not that he would inevitably make it to the NBA, that’s far too low. Rather, that he would be one of the best. Even in high school, his approach and demeanor were all business without the immaturity prevalent in many young stars. He competed in regular season games like it was the NBA playoffs. To arrive at Duke and suddenly, rudely, be shoved aside would be culture shocking – even if that the new chosen one is your good friend. In my most meager attempt at armchair psychology, this schism between what should have been and what is lies at the heart of Barrett’s iso-heavy hero ball approach. Of separate intrigue is how much accountability for navigating the psychological twists and curves of assimilation lies with the coaching staff who, to outside eyes, appear to be enable Barrett’s aggressiveness instead of re-channeling it. For the purposes of this piece, we’re ultimately simplifying through comparison; a head-to-head comp to answer the question: Who’s the better prospect: Culver or Barrett? Based on his size, speed, and strength; based on a passing gene I saw in high school and in flashes at Duke, and based on a similar distance shooting rates, I believe Barrett has a higher ceiling. Unfortunately, I have a lot of doubt he gets there. 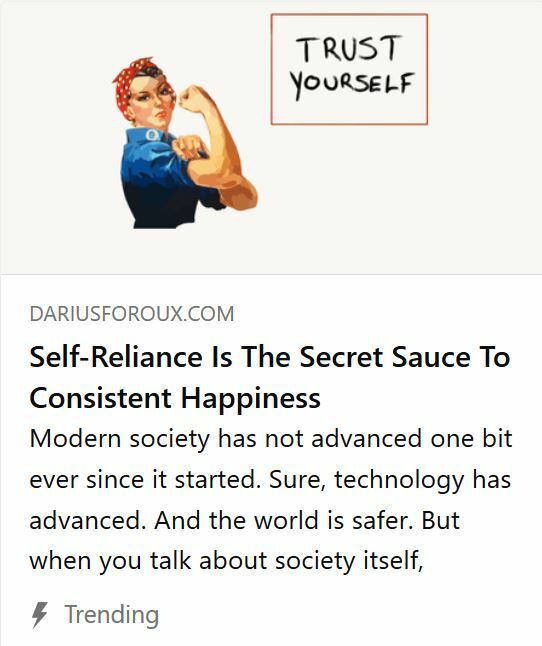 There’s a streak of self-reliance that I’m not convinced can be redirected. The athleticism is good, but not great. The defensive commitment is somewhere between inconsistent and not that good. Culver’s best skills: his defense and passing, are more NBA ready than anything Barrett currently has. Both players will improve and while Barrett likely ends up with better NBA stats, Culver’s potential to contribute to winning basketball gives him the nod in this strange, possibly unnecessary head-to-head pro prospect comparison exercise.